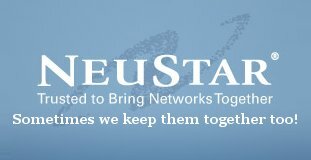 BigSmoke » Can NeuStar be trusted to keep networks together? Trusted to bring networks together, beams NeuStar‘s corporate slogan. After my previous two posts, I’m still hoping that they can be trusted to keep networks together too. Please note the information below for Nexus category 3. A foreign entity or organization that has a bona fide presence in the United Stated of America or any of its possessions or territories. Applicant must also (1) regularly engage in lawful activities (sales of goods or services or other business, commercial or non-commercial including not-for-profit activities) in the United States; or (2) maintain an office or other property within the United States. Though you are running a personal website which may have several visitors from the United States, this does not meet the Nexus requirements as stated above. Please provide documents that prove you meet the Nexus under category 3 as listed above. Anyway, to keep my share of the web intact and to satisfy your rules (which I still don’t know how to interpret correctly), I could consider transferring my domain to one of my American relatives who may be kind enough to let me keep using the same subdomains for my websites so that I won’t have to break any links. Then I could change the category of the domain to C12 again. Is changing the Registrant of the domain acceptable? I’m sure one of my family members wouldn’t mind owning a domain to keep my piece of the web working for everyone.